Of all my years of lurking in the interwebs, I have seen one particular argument rear its ugly head many times over. "Who gets the credit for inventing Metal as a genre?". While some may say Led Zeppelin, others may say Blue Cheer or Deep Purple. The reality is though, no single band can be credited for inventing this amazing form of music. However, there is one band, without whose existence, Metal may not have been as we know today. And that band, undeniably, is Black Sabbath. These lads from Birmingham, UK, started out way back in 1968, under the name Earth. Through the course of their 45 years of existence, this band has undergone numerous line up changes and stylistic changes, while at the same time, remaining true to Heavy Metal. Now in 2013, the band has broken out of a long slumber, to unleash doom upon the mortal world once again, this time, in the form of 13. 13 features three fourth of the band's original lineup. Bill Ward had left the band before the commencement of recording, citing contract disputes. His replacement is Rage Against The Machine drummer, Brad Wilk. 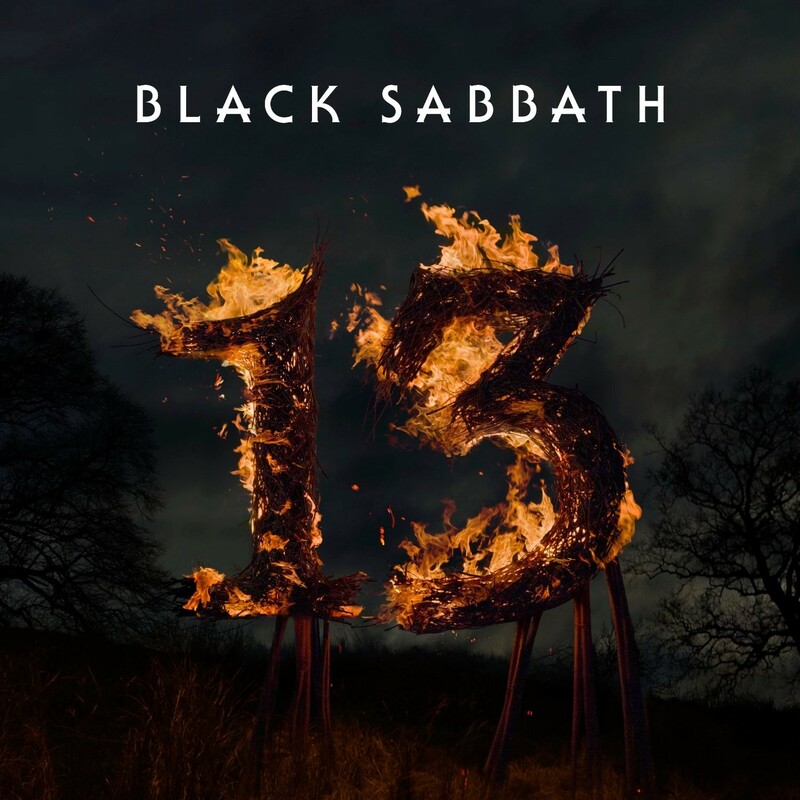 13 is the band's 19th studio album, released through Vertigo Records on 10th June 2013. Popular record producer Rick Rubin, is the one who produced this album. Listening to just the first few moments of the opening track, 'End Of The Beginning', the presence of the heavy doom that is very typical of Black Sabbath, is evident. It is amazing to see Tony Iommi still deliver such solid riffs after all these years. The opening track is a doom heavy mammoth that crushes everything in it's path. When Ozzy Osbourne's voice kicks in, it serves as reminder of the early days of the band. The age shows through in Ozzy's voice, as that young vigor is lacking. He does, however, manage to deliver a solid performance throughout the record. The riffs bear that Blues feel, that has always been a trademark of this band. At times, there is a slight feel of Stoner Metal too. But the overall sound is primarily Doom flavored Heavy Metal. The guitar licks and riffs are refreshingly classy. It is no wonder that Tony Iommy is revered as a God by so many musicians. Add to this the fact that he was recently diagnosed with cancer, it only boosts one's respect towards him. Lyrically, the band has gone philosophical. Questions about the existence of God ('God Is Dead?') and life itself ('Live Forever') are touched upon in this album. The bass lines are perfectly executed and the heaviness offered by the bass is very obvious upon listening. This album even includes an acoustic track ('Zeitgeist') which would serve as the perfect backdrop for an acid trip, very much in the lines of 'Peanut Caravan', off their masterpiece Paranoid. Aside from the aging of Ozzy's voice, this album is absolutely flawless. The producer, gives the album the perfect treatment, to give it that dark looming feel. It is really something, when the bonus tracks are on par with the main package. This is exactly what Black Sabbath pull off with 13. Most of you, might have already read about it. But for the uninitiated, the album finishes off with an outro that sounds of church bells tolling over pouring rain. This is exactly the same way that the first song in their first album starts. Maybe, this is a symbolic indication by the band, to the end of its career. But I hope this is not true, as these guys have what it takes to keep delivering good music for many more years to come. 13, is an album that is sure to take the top spots in many a "Best Of 2013" year end lists. Black Sabbath deliver the perfect album, that might serve as their final release. A Chat With Kracken Kelly Of "Foreshadow"